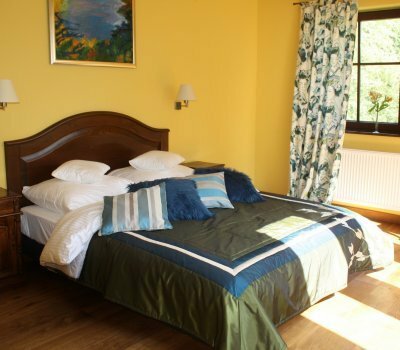 Pension is only for adults people, out of concern for the repose of our guests. Pets are accepted on request. No extra charges. Blue room, antique furniture, terrace and pond view, beautiful retro bathroom with great mirrors. 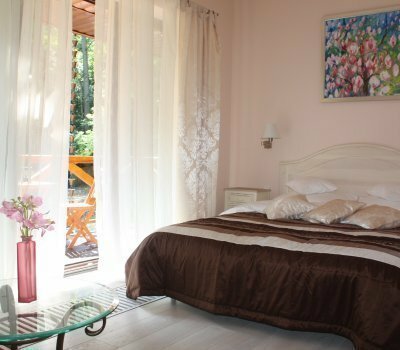 Room in pastel colors, antique furniture, terrace overlooking the pond. Room in pastel colors overlooking the forest. Very sunny room, with antique furniture. Peaceful, lavender-colored room, overlooking the garden. Peaceful, in green-orange color, overlooking the vegetable garden, decor from vintage furniture. 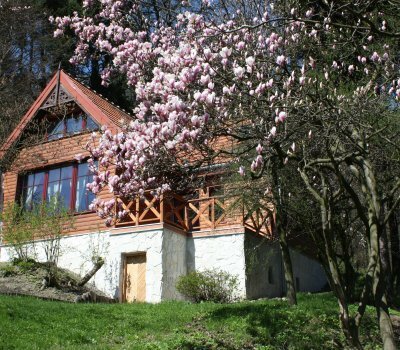 Luxurious secluded house, former workplace of writers and artists, including Stanisław Lem, Roman Husarski, a house full of original art.